Namoh Ply and Hardware are one of the leading suppliers of Telescopic Channels in Pune.The offered channel is widely demanded to use in various types of furniture like computer table, drawers, roof panels, etc. our entire range is designed by utilizing finest grade materials at our well equipped production unit.This Telescopic Channel is designed by our skilled professionals by using quality material which we buy from our dependable sources. We are engaged in providing superior quality Telescopic Channels to our most reliable clients. 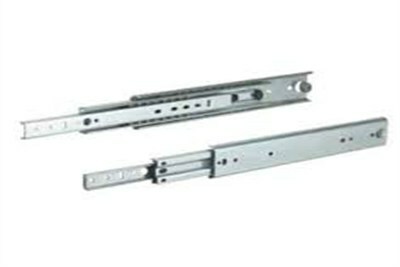 These Telescopic Channels are appreciated by large number of clients due to high quality and durability.